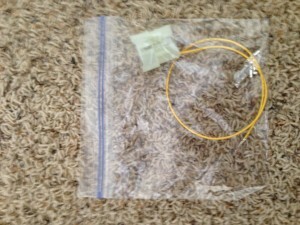 Any wideband O2 with a 0-5v output can be used. The Innovate LC1 and AEM Uego are great examples of WBO2 sensors that work great with the Flash Ecus. After following installation instructions for your choice sensor you will need to wire the 0-5V output (see your WBO2 sensor manual for wire color) into the ECU. Wire the 0-5V into pin 93 for a 98-99 Flash Ecu, pin 55 for a 91-93 Flash Ecu or pin 77 for a 94-97 Flash Ecu. 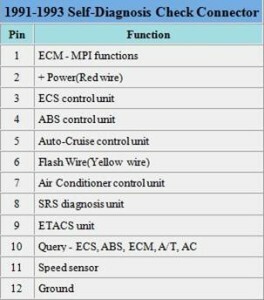 See plug pinouts below. 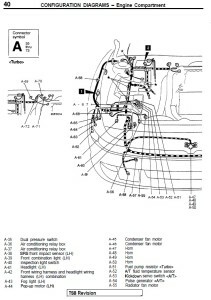 The diagrams show if you are looking directly at the ecu plug, or the back vehicle side plugs. 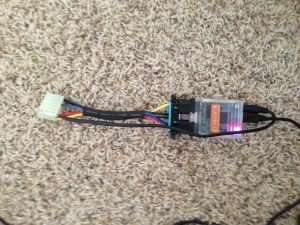 The Flash Ecus can all can run No Lift to Shift. Its a great feature that really helps make your shifts faster and save wear on your transmission. The feature uses the clutch cruise control cut switch to let your ecu know when you are pushing the clutch. When your throttle posistion is above a certain user defined setting (ChromeV2 stock setting of 80%) the pressing of the clutch will cause the ecu to change the rev limiter to a lower user defined setting (ChromeV2 stock setting of 5500rpms). You can datalog the clutch bit in EvoSacan to make sure the ecu is reading it correctly. Sometimes there is a slight 1 sec delay in Evoscan. This does not affect NLTS use in real time. Once setup you can also test NLTS at low vehicle speeds in neutral by pressing the clutch and then flooring the gas pedal. The car should rev normal unless you go over your TPS setting ie 80% at which point the rev limiter will switch to 5500rpms. The P/N wire pin 91 on both the 91-93 & 94-97 Plug and Play Flash Ecus and pin 67 on the 98-99 Flash Ecus is normally grounded. Cut the P/N wire (Black with silver stripe). You will have to extend the wire to T into the black and yellow wire coming from the upper clutch cruie control switch. DO NOT CUT THE BLACK AND YELLOW WIRE going into the clutch cruise control switch. Your cruise control, when engaged, will cease to turn off when the clutch is pressed. It could damage your engine by causing over reving of the engine. I am not responisble for you being stupid and not testing your modification. In fact I will probably laugh at you. Test you modification thouroghly. 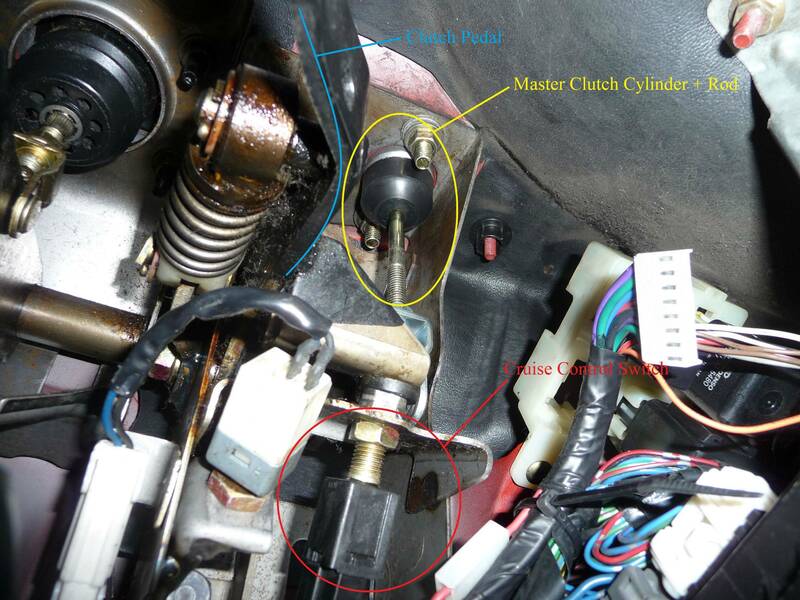 The clutch cruise control switch is located under the dash on the clutch pedal. See picture below. This is what you will see laying on your back looking up under the dash. I have found it is 100 times easier to just pull the lower dash pad to access this clutch switch. You can do that by popping out the switch benzel on each side of the lower dash cover. 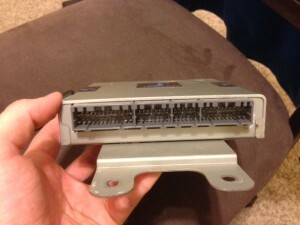 Then remove the screws on the bottom and behind the switches holding the lower dash pad in. 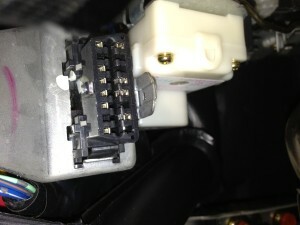 The long yellow wire is your flash wire and it plugs into the flash ecu pin 57 (see pin out below). 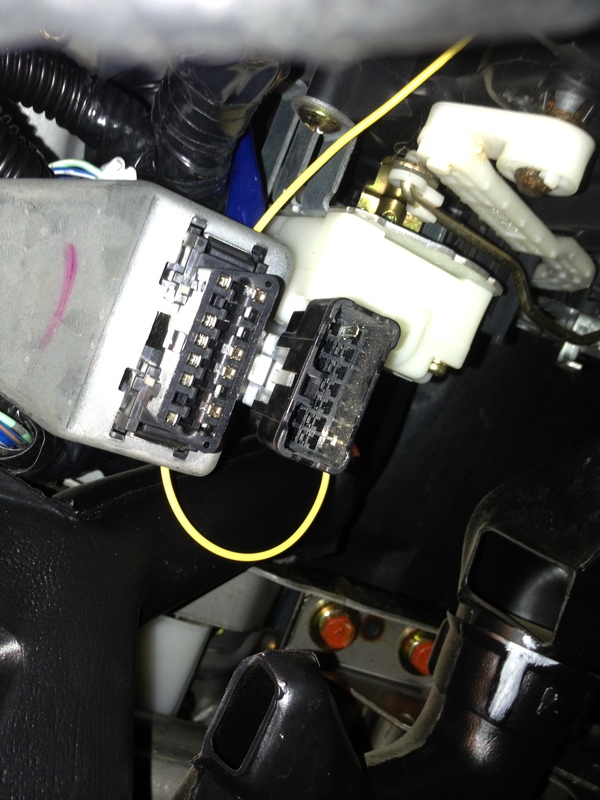 The white (sometime its black, it’s black in the picture blow) plug is cliped onto it’s plug holder beside your OBD2 connector. The plug views below is as if you were looking straight at the ecu plug or the back of the vehicle ecu plugs. 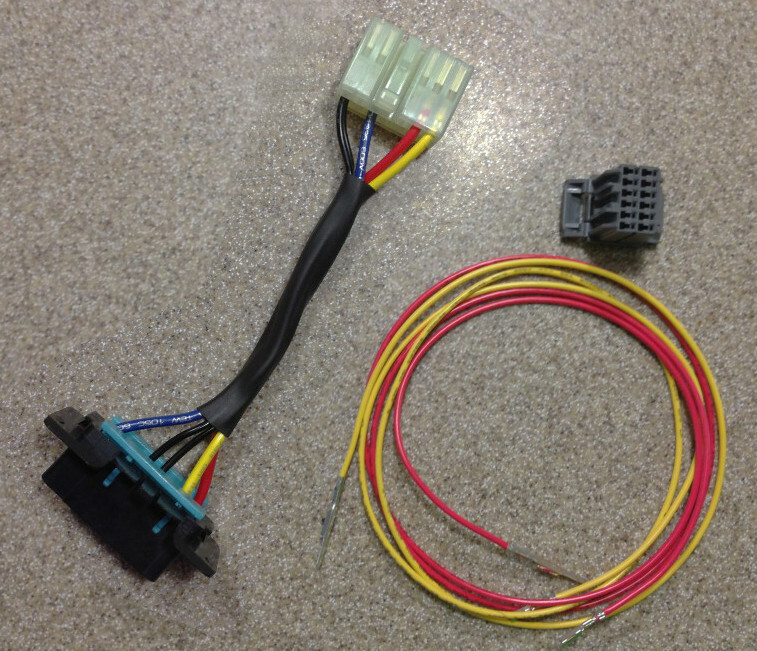 You get the obd1 adapter for your car, the 2 new lead wires(red and yellow) and the new grey 12 position plug with pins for all the extra pins the flash ecus offer. 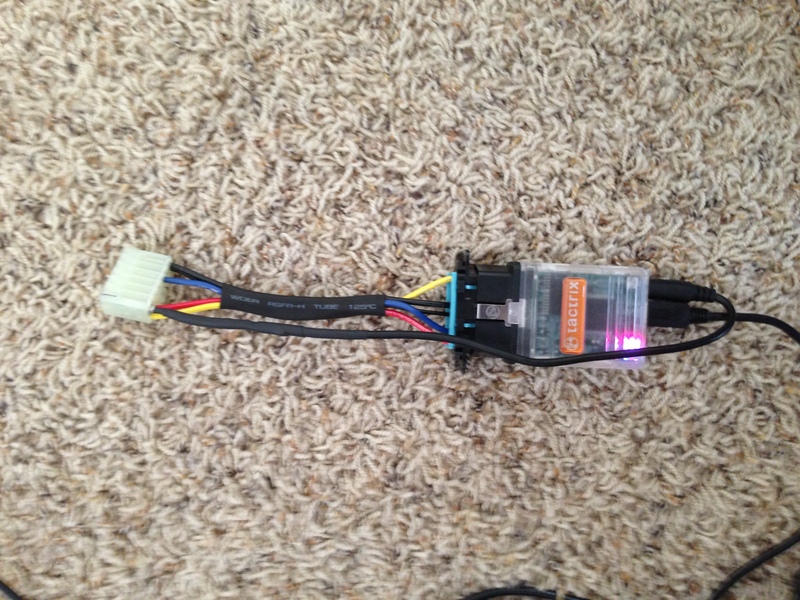 Stock 1G VR4 ecus have three plugs. There are 4 plugs on the 1G PNP Flash Ecu. 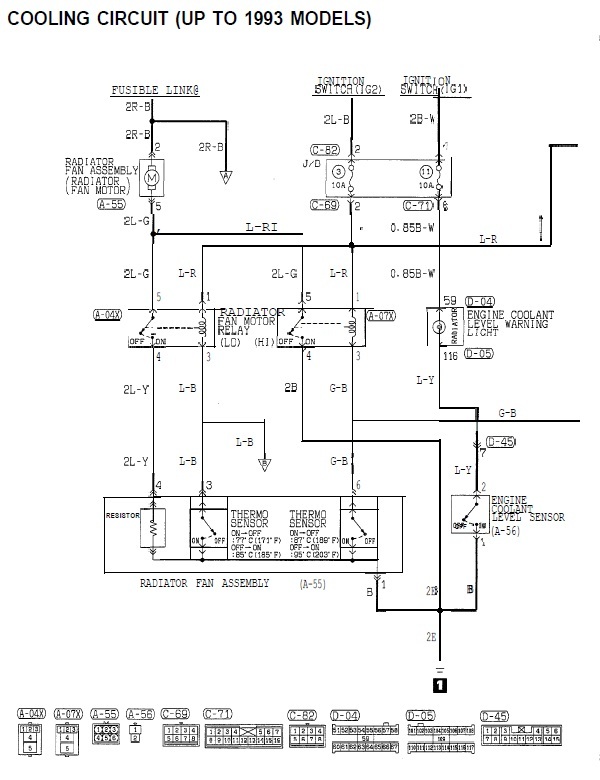 The 4th plug is a gray 12 position plug (included) for all the extras inputs and outputs the Flash ecu offers. You can just plug the stock three plugs in the PNP Flash Ecu and your car will start and run fine. 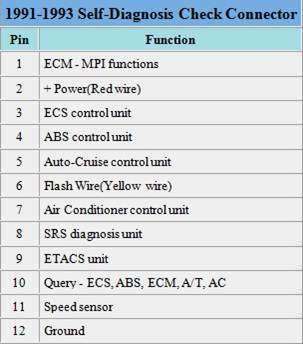 To use the flash pin (51 on 91-93 PNP Flash Ecus), WBO2 logging, boost logging, ect. you will have to wire them up. 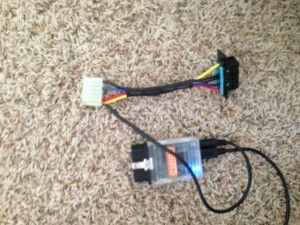 The obd1 flash adapter allows you to just plug one plug into your car to datalog and flash it. 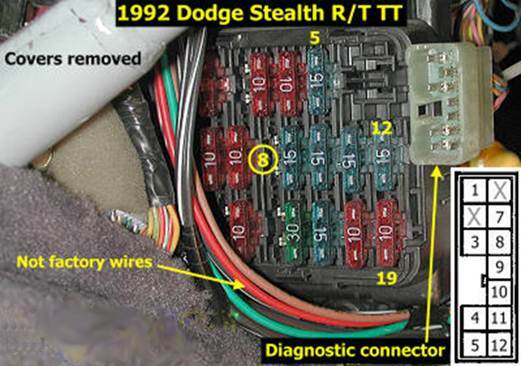 The 94-97 and 98-99 cars all have to plug in 2 plugs to flash their cars. 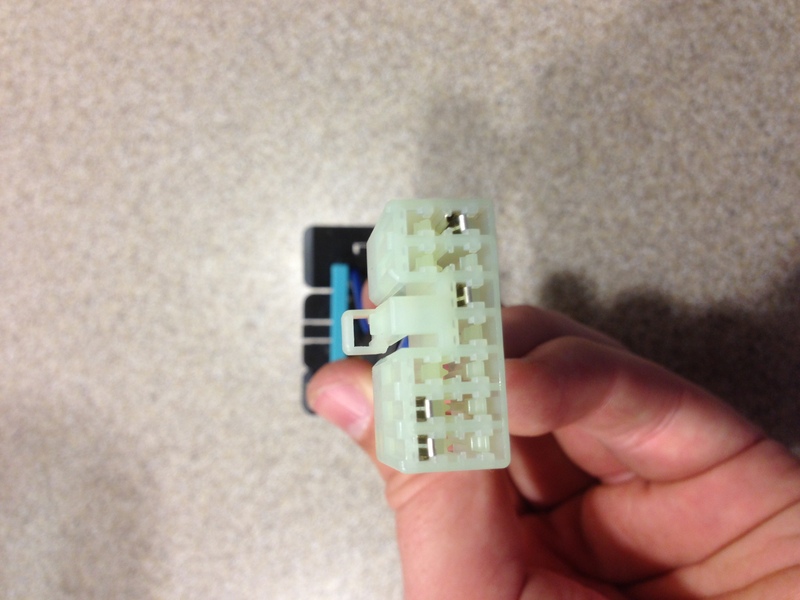 The mitsubishi reflash connector, that comes with the tactrix 2.0 cable, plugs into the obd1 on 91-93 VR4s. Its the same plug as the white one below. 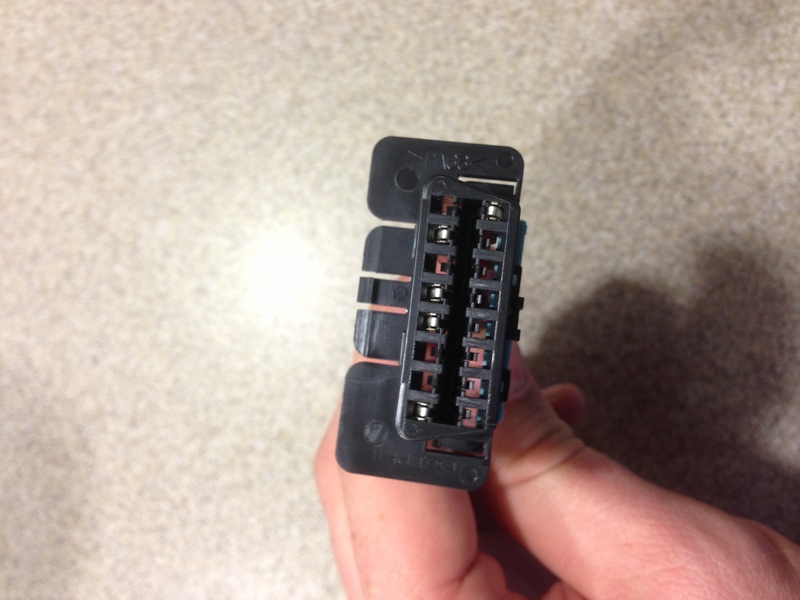 You have to remove the pin in the reflash connector and put it in the same location in the obd1 plug of the adapter. Then you can plug it into your tactrix 2.0 cable and you are set. The adapter doesn’t need to be plugged in unless you are datalogging or flashing. It stays with the tactrix 2.0 cable in your glove box most of the time. 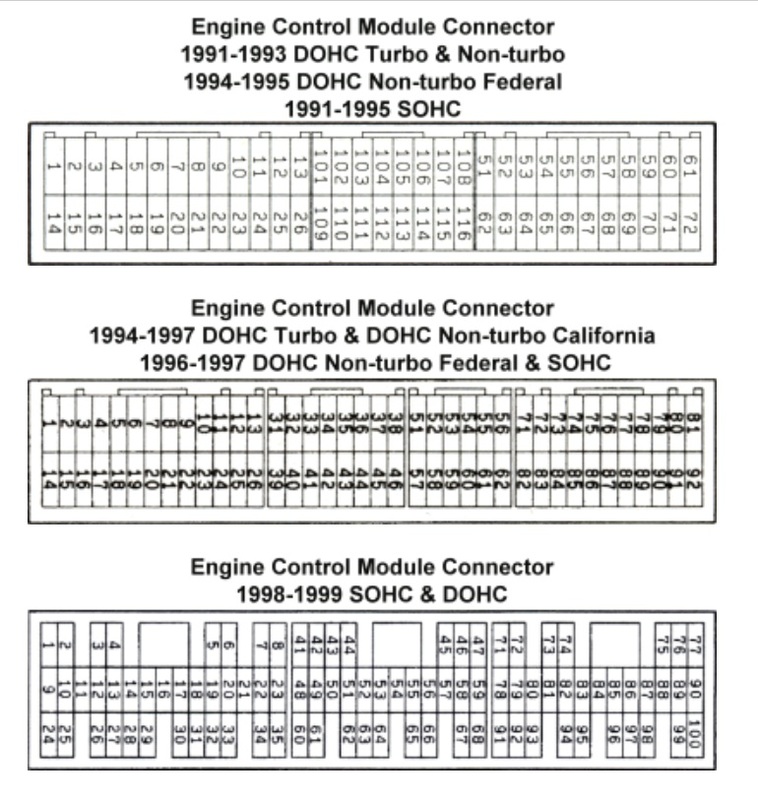 Interesting fact: The 91-93 obd1 plug is the same plug used on the 98-99 3000gts for the flash connector. on the 98-99 VR4 it is located beside the obd2 plug. I actually like this set up better than my 99 vr4 because I have to plug in the two plugs everytime. Its kind of annoying. I may wire it up like a 1g to use my adaptor on it. haha. 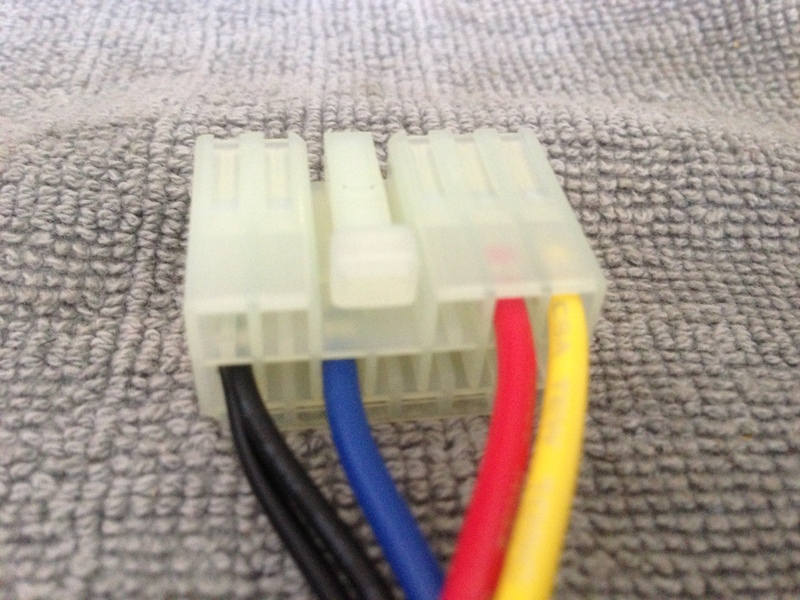 The long yellow wire is your flash wire and it plugs into the flash ecu pin 51 (see pin out below) and then into the back of your stock obd1 plug pin 6. The long red wire is your power wire and it plugs into the flash ecu pin 77 and then into the back of your stock obd1 plug pin 2. Don’t mix the wires up. 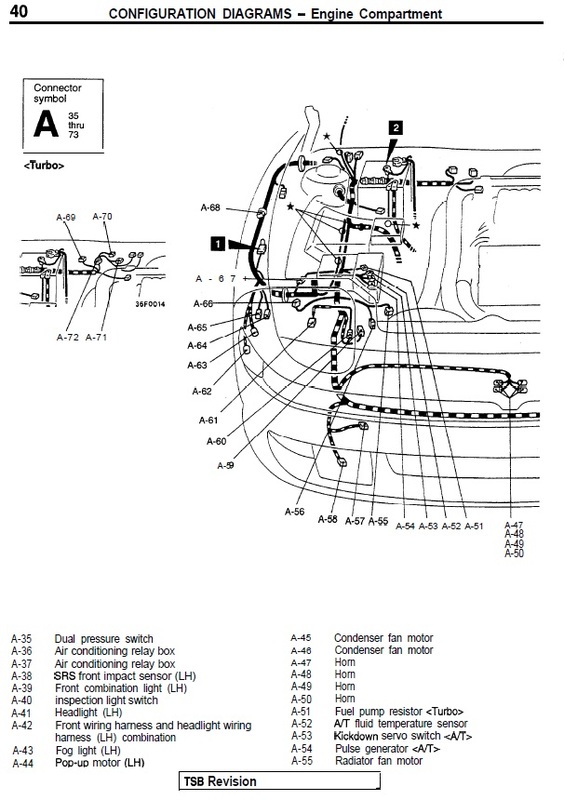 The following instructions help you modify your 91-93 3S to let the Plag and Play Falsh Ecu control your radiator fan. 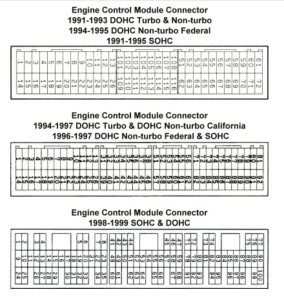 Take the wire coming from each of the existing 91-93 oem fan relays, that would go to their corresponding thermo switches, and wire them into the Plug and Play Flash Ecu instead. The ecu will now act as the activtion ground for the relay instead of the thermo switch.The pins on the 91-93 Plug and Play Flash Ecu are 52 radiator fan High, and 53 radiator fan Low. The pins on the 98/99 VR4 Flash Ecu plugs are 17 radiator fan High, 18 radiator fan Low. Find plug A-55 pin 3 (blue with black stripe). 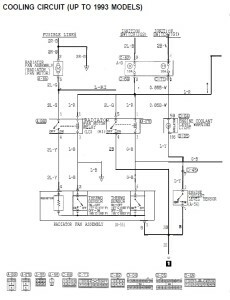 The wire coming from the fuse box instead of going into the radiator plug will be cut and go into pin 53 on the 91-93 PNP Flash Ecu. 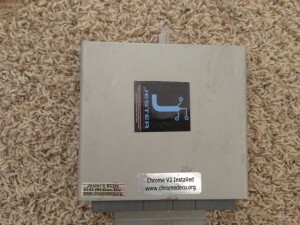 Or pin 18 on a 98-99 Flash Vr4 clone Ecu. You will have to add a length of wire to extend it and then route it through the firewall to the ecu. 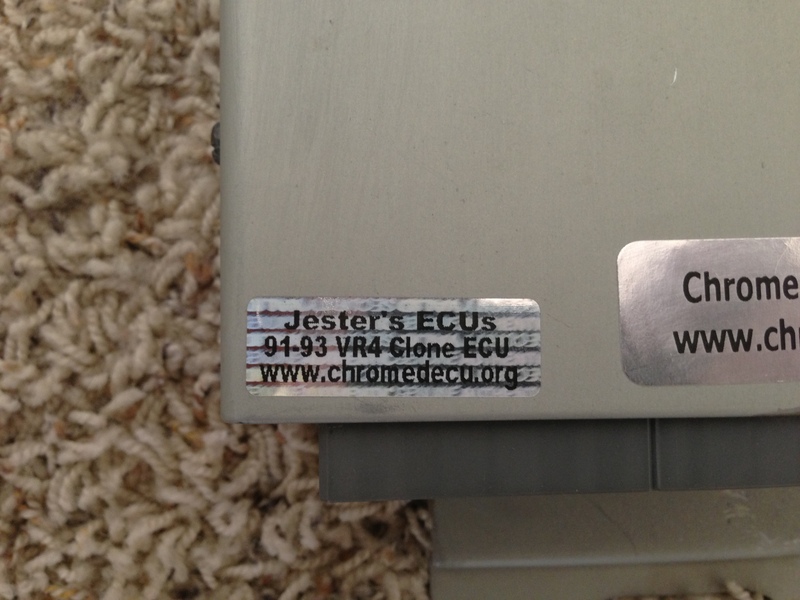 The ecu comes with extra pins. 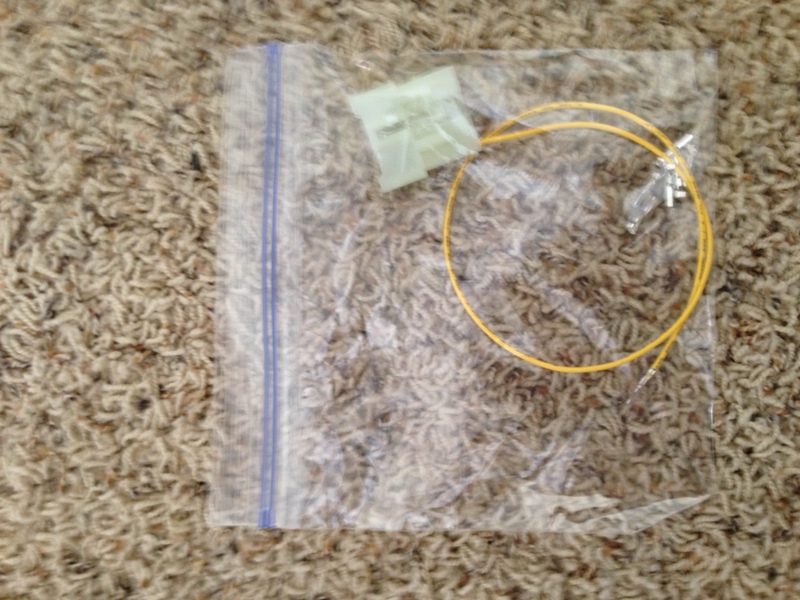 Find plug A-55 pin 6 (green with black stripe). The wire coming from the fuse box instead of going into the radiator plug will be cut and go into pin 52 on the 91-93 PNP Flash Ecu. 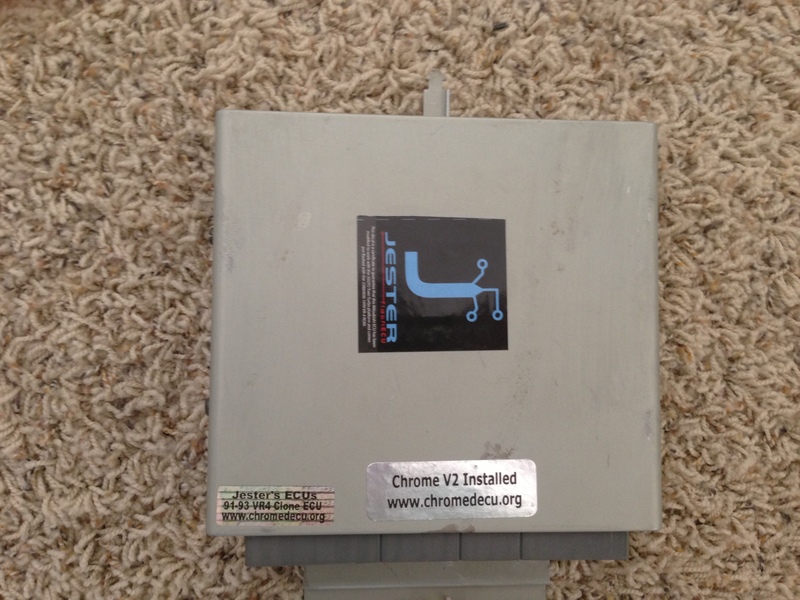 Or pin 17 on a 98-99 Flash Vr4 clone Ecu. You will have to add a length of wire to extend it and then route it through the firewall to the ecu. The ecu comes with extra pins. 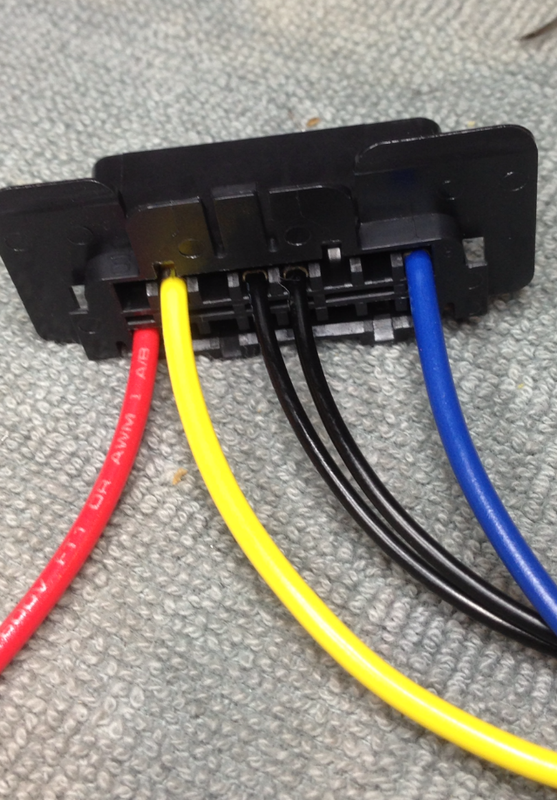 Make sure pin 1(black) and 4(blue with yellow stripe) are still plugged in on A-55, only pin 3 and 6 should be re-routed. With the car on but not running you can test the relays by grounding the wire you cut. Do it one at a time. 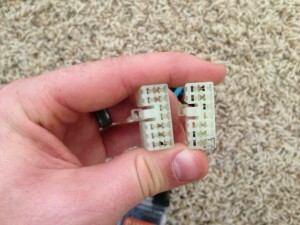 When grounded the relay will activate and turn on the fan. When completely finished with the modification there is an easy way to test it. With the car on but not running you can test your handy work by connecting your laptop to the ecu via EvoScan. In the lower right of the screen the Actuators button can be pressed and it will show a list of fuctions you can test. You will see buttons to test both rad fan high and rad fan low. Sometimes you have to connect to the ecu and then stop datalogging before the actuators work. The 91-93 PNP Flash Ecu comes with extra pins and plug.If you do teh modification this way you don’t even have to remove the two thermo switches. They are electrically removed from the circuit and won’t affect anything. Plus if you want to go back to stock it will be an easy retrofit.